Pippie is a scruffy white dog with floppy white ears. She has large, glittery pink button eyes and a black button nose with a pink tongue hanging out of her mouth. Pippie was released in December 2015. Her Birthday is on 20th March. There are three versions of Pippie. 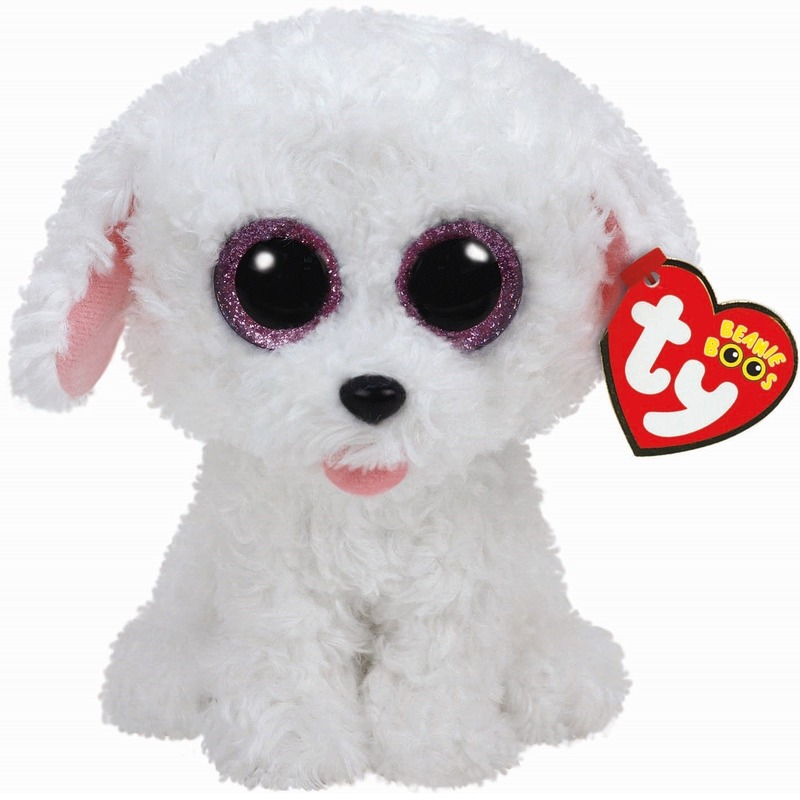 This medium 9″ Beanie Boo Buddy, a small 6″ Beanie Boo and a key clip.